A unique locomotive that helped to transport troops, munition and other essential cargo in support of the liberation of Europe is to return to its spiritual home in the Netherlands. 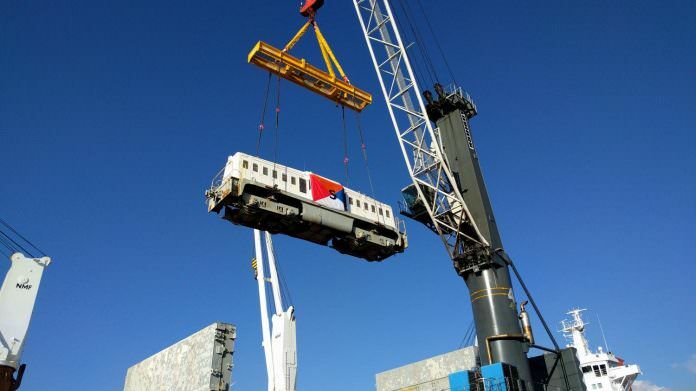 After many years of fundraising and trying to locate one of the historic trains, “mobile museum” Stoomtrein Goes Borsele (SGB) has sourced, financed and organised one of the locomotives to return to Europe. On November 7, the locomotive will be unloaded at Antwerp after a two week-long voyage from the States, where it will remain in SGB’s collection. According to SGB, the locomotive is one of many built by the Allies during WW2 to advance troops in support of the liberation of Europe. The trains were brought to Europe from the US by ship but afterwards many were sold to European railways. Nederlandsche Spoorwegen (NS) in the Netherlands purchased 20 locomotives from army dumps to rebuild its ravaged railways. These trains were however scrapped in the 1960s. The remaining ‘Liberation’ locomotives were returned to America in 1946 and sold to private companies. Although many were also scrapped in America, SGB found one in Iowa in 2016, which was donated by the Lehigh Cement Company, which used the locomotive between 1947 and 2005. The expensive transport of the locomotive was made possible thanks to sponsors, a legacy and a successful crowdfunding exercise. The locomotive has been acquired ahead of the 75th anniversary of the liberation of Europe in 2020.